Capt Killian Jones AKA Capt Hook is a confident pirate who never backs down from a fight; a man who seeks to crush and humiliate his enemies. But he also has the meticulous style and manners of a proper gentleman. He met and fell in love with Rumplestiltskin's wife. When Rumple went to beg for the release of his wife Killian challenged him to a duel. Rumple declined fearing his own death and leaving his son without a mother or a father. Years later after Rumplestiltskin became the dark one (and Bae disappeared thru the portal)he ran into Capt Jones again challenging him to a duel. When he was about to rip out Killians heart, Milha shows up to make a deal. She has a magic bean and will give it to Rump in exchange for Killians life. Rumple first agrees to the deal then tears out Milhas heart when she claims she never loved him. Then he cuts off Killian's hand to retrieve the bean he held. Killian attacked Rumple with a hook but it didnt even hurt the dark one. Capt Jones swore revenge for the murder of Milha and the loss of his hand. He uses the bean which he managed to hide from the dark one to open a portal to Neverland, where he would not grow old so he could plot his revenge. "It was a brief flicker of light amidst an ocean of darkness"
Still a prick! And you know it, you just don't want to admit it, cause you LOVE him! He is a prick to Charming all the time, takes advantage of people in need! Yes, they get into it, but we are not talking about THEM, lol! We are talking about Rumple and he is not a nice man (he can be when he wants to, as can Hook) but Rumple is rude and mean to people. You know, Gena, Wiley, It really disappoints me that you see it this way. Take the blinders off, you all need serious help. I am worried for you both if you think Rumple is a good guy just misunderstood. I love you both too much to let this go on any longer. You can love him for being a villain and bad or not at all! LOL! 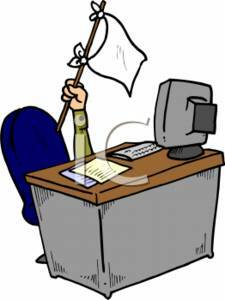 A white flag from YOU! Awwww...I am disappointed in my Corrupter! But, I will take this win, I need it! wileycatpp wrote: wow rewatching ep hook really is a prick kicking rump over and making fun of him when he thought he was a begger. hahahaha so glad Rump cut off his hand even if he didn't get what he wanted. LOL! You crack me up! Like Rumple isn't a prick! Taking advantage of innocent young woman, Regina, Cinderella and who knows who else. How mean is he to EVERYONE for no reason that something that was HIS own damn fault! LOL! They are BOTH Pricks, they are bad guys, supposed to be! Rumple is not a Prick he offers someone a deal they have a right to say no. He made Cinder idiots life better its not his fault she was stupid enough to not ask what he wanted in return. And Regina please Regina could have given that book right back and left. TheSaviorsSwan wrote: I am feeling to lazy to read everybody's post completely, but I think that Rumple wasn't a coward, he knew how to stand up for himself and Hook well Hook is a fine guy who knows how to rock eyeliner. I am glad that Rumple made a point to stand up for himself, his wife got what she deserved. I am also glad that Rumple finally told the truth, it took him long enough. "Took him long enough" Ok, you all, put your LOVE of Rumple aside. Yes it took him LONG enough, because he was a C.O.W.A.R.D. he didn't stand up for himself or even try to fight for his wife! I wouldn't want to be married to someone that wouldn't FIGHT for me if he thought I was kidnapped by a band of pirates. Even if we had kids at home, your husband is supposed to be your protector! "It took him long enough" to tell Belle the truth, even though he KNEW he could trust her, cowardly! He is a coward, that is what the writers wanted for his character and that is what he is overcoming! They are BOTH cowards, then and still now! LOL! I am feeling to lazy to read everybody's post completely, but I think that Rumple wasn't a coward, he knew how to stand up for himself and Hook well Hook is a fine guy who knows how to rock eyeliner. I am glad that Rumple made a point to stand up for himself, his wife got what she deserved. I am also glad that Rumple finally told the truth, it took him long enough. wow rewatching ep hook really is a prick kicking rump over and making fun of him when he thought he was a begger. hahahaha so glad Rump cut off his hand even if he didn't get what he wanted. My point is. He was a coward and still is, lol! (Using magic to get what he wants, makes him weak and a coward, just like Regina) Yes, he does put his boy first and that is what I LOVE about him. And I do dislike Milha, but I do not think it was wrong of her to leave Rumple for someone she fell in love with, someone she was more compatible with. She came back with Rumple that night and BEGGED him to leave that town and go somewhere and start over new and if he loved his wife, he would have done that for her! What was holding him there? first Rump confronting Hook on his ship was damn corrageous. That is not the act of a cowardly man. Just because Rump didnt fight Hook doesnt make him a coward either it makes him smart. He had to think of his boy first and if he had fought hook and died Bae (in his mind ) would be left without a mother or a father cuz he didnt know Milha ran off with hook and thought she was kidnapped. Rump was courageous when he went on the ship and did not fight. I never said that. I am saying, you all were saying that he was being called a coward and you didn't see why. I am saying I DID see that, lol! It is what the writers want us to think of him anyways. But the fact is, he was a coward. Even if courageous at times. But instead of Rump growing a pair, he had to get power! And THAT to me is even more cowardly. At least Hook was a prick and could fight and hold his own, without magic. LOL! And having balls or not, I would not have told Rumple the truth about Milha, look what happen. Hook truly LOVED her and was trying to protect her. She was a B! @#h, I get that. But she choose to leave him for adventure and found TRUE LOVE! That doesn't make Hook a DB for protecting his love, all the men have including Rump...just sayin! The WHOLE point of that was to show you that at that time, pre-dark one, Rumple was a coward. He was. And it was showing us that his wife wanted a man that would take her places, see the world, not live in the town where you are a coward for not going off to war. I hate Milha for leaving her son, but in all seriousness, if I was married to Rump pre-curse, it would be hard if he wanted to STAY there. I love Rumple, don't get me wrong. I did see Hook come off as a prick, but that is him, in every way! Have you ever seen Hook the movie, or Peter-Pan? I was a little disappointed wit Hook. I thought his character was going to be stronger but he just seemed like a prick. I mean he is supossed to be a rival for rump I expected more he was definitely lacking. Also everyone spent a lot of time calling rump a coward even though it took a hell of a lot of courage to even go on that ship and confront the pirate that supposedly took his wife. The least Hook could have done was be a man and tell rump the truth instead of belittling him the way he did. You steal a mans wife at least man up to it. TO me Hook is a grade A doush bag. I'm glad he lost his love and his hand. got what he deserved in my opinion. 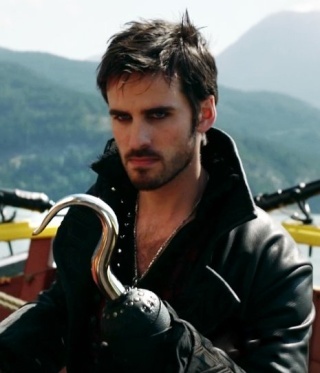 SW7_PC2 wrote: Oh and Hook is already mine! LOL! We have been together in many dreams! LOL! Actually had one a few nights ago with Hook AND Rumple! Talk about your ultimate AWESOME naughty dream! LOL! Oh and Hook is already mine! LOL! We have been together in many dreams! LOL! Actually had one a few nights ago with Hook AND Rumple! Talk about your ultimate AWESOME naughty dream! LOL!